At Alchemy Goods, we are all about bikes. 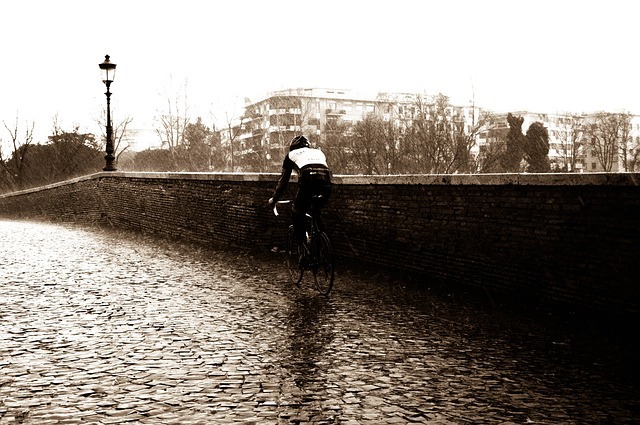 Our foundations as a company were in cycling, and we will always consider the cyclist community our constituency. There are few things greener than bike commuting, and few things that can make someone feel as free, strong, and in touch with the natural world. But we also recognize that cycling can be exclusionary, and that access to biking information, resources, and community is a social justice issue. Low income individuals and people of color are actually more likely to bike for both recreation and transportation than high-income or white riders, yet there’s one group that remains marginalized and underrepresented on the road: women. There is no denying that there’s an imbalance, however, the times are changing, and Seattle has a ton of awesome bike opportunities for women right now. Indeed, in 2013, for the first time ever, every top leadership position in the five major Seattle-based bike organizations was held by a woman. 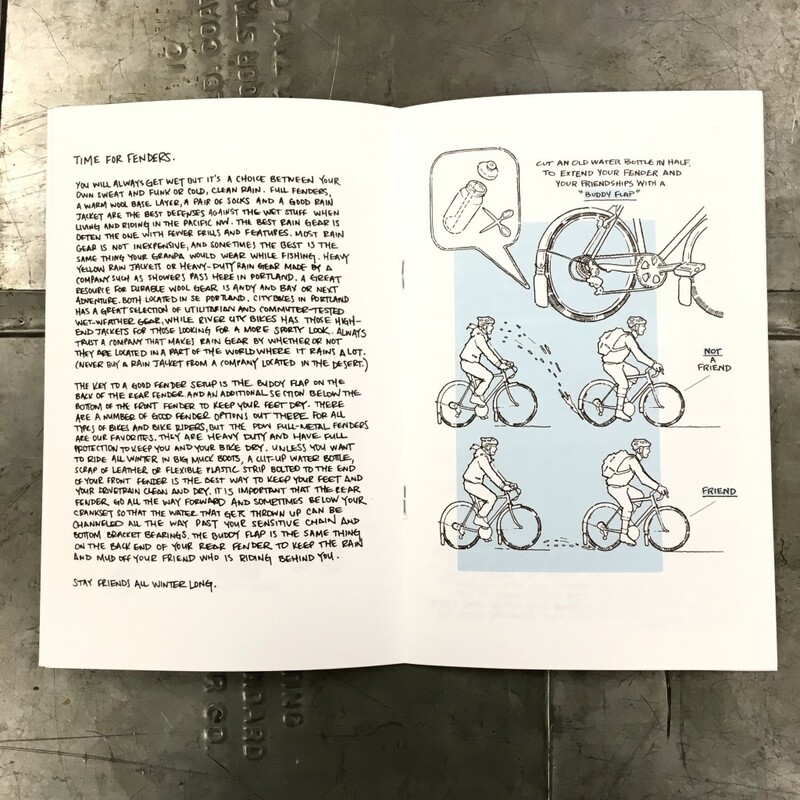 We’d like to highlight a few of the cool opportunities for women-only rides and women-led groups in Seattle this Spring; and for general advice pertaining to women, we recommend checking out the super-helpful Women Bike Advice Column from Cascade Bicycle Club. The amazing national organization CycloFemme has an annual nation-wide all-women ride every year on Mother’s Day. This year, CycloFemme is partnering with local Critical Lass to host a ride running from Cal Anderson Park to Seward Park, celebrating with a picnic at the finish line. 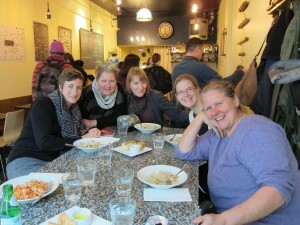 From CBS in Fremont, four women will be leading these Group Rides every Saturday from April to August, meeting at 9am. All rides have different durations, paces, and paths, so follow the above link to check out their schedule and find the right ride for you, whether that means challenging climbs and new terrain or just having an opportunity to learn how to ride in groups on the road. Every First Monday of the Month, this group of ladies rides out from the Seattle Center Fountain (meet up at 6:30pm, depart at 7pm!) for an easy, fun, and social ride around town. These free, fun, and easy group rides are only about 45 minutes, kid and partner friendly, and a great entry point for women who might be nervous on the road. This group mostly organizes impromptu group rides through Facebook, so join if you’d like to stay in the loop for events, bike-centric happy hours, or a newsfeed full of great articles and discussion. Happy Spring trails, Alchemists! We truly believe that “sharing the road” applies to everyone, not just cars, and we hope that Seattle closes its cyclist gender gap and continue to host awesome opportunities like these! Given our dual passions of sustainability and cyclist culture, it makes sense that we’re curious about the rising trend of city bikeshares. It seems that even though they’re largely unprofitable–a word that’s a considerable understatement for cities like New York–they continue to capture the imaginations and infrastructures of more American cities every year. Between private and public bikeshares, there are nearly 100 programs in America, most of which are run by cities or universities, to varying degrees and definitions of success. Almost all city bikeshares follow the same model: bikes are publicly corralled in stations that are strategically placed in high-traffic urban areas. With the swipe of a card, you can pull out a bike from its dock and ride it to whatever station is nearest your destination. 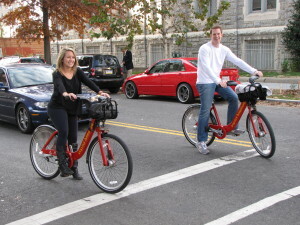 Most bikeshare rides are short, especially because many programs offer free rides for trips under 30 minutes. Typically, the program offers annual memberships to users for a fee anywhere between $35 and $150, and allows non-members (like tourists) to rent at a daily or hourly rate. The concept of bikeshares was popularized after Paris’ wildly-successful program Vélib’ launched in 2007. Not only did Vélib’ have 20 million users in the first year alone as well as resounding community support, but it’s also the most profitable bikeshare program in existence, earning Paris about $30 million in profits annually. The program itself was built and managed by the advertising agency JCDecaux in return for exclusive rights to half of Paris’ advertising billboards, an exchange that seems favorable to both the city and the agency. And yet, even though Paris’ program was the mold from which most other bikeshares have been cast, its success is the exception, not the rule, and even corporate partnerships aren’t often able to keep a bikeshare afloat. Barcelona’s Bicing, for example, was also launched in 2007 and runs at an annual deficit of around €12 million. London’s system lost $21 million in 2012 and is expected to cost more than 5 times the sponsorship revenues in the next two years. New York’s Citi Bike program–underwritten by CitiBank–is in a financial tailspin, reportedly seeking tens of millions of dollars to keep afloat. 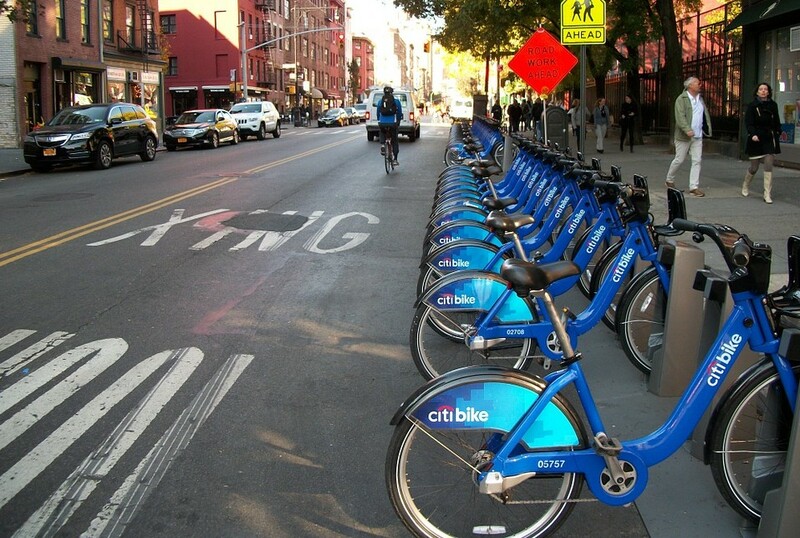 Indeed, Citi Bike is often described as the perfect storm of bikeshare problems. 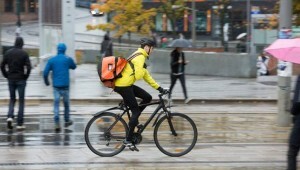 It launched late, and during one of the coldest, least bike-able winters in New York history, the Canadian company that supplied its bikes declared bankruptcy, Hurricane Sandy damaged more than $10 million worth of equipment, and it’s been plagued with software problems since its inception. And interestingly, its biggest problem is its popularity with New Yorkers–there were too many locals buying annual passes and not enough tourists, which is where big bucks are. It seems that the best success stories of American bike share programs happen when the city treats the bike share as an expected transportation cost rather than a potential source of revenue. Washington D.C.’s Capital Bikeshare is often cited as one of the most successful city bikeshare programs in America, yet not because it’s turning a profit. It was originally launched not with corporate money but federal grants earmarked for programs that improve air quality. And though Capital Bikeshare plans a $3.5million expansion during 2016, they are able to run at one of narrowest margins of loss in the country (only $392,000 in 2013), have noticeably decreased traffic congestion, provide free passes for low-income riders, and have become a point of city pride. Should Seattle Bail Out Our Bikeshare? Unfortunately, our city is not enjoying the same success as Washington DC. 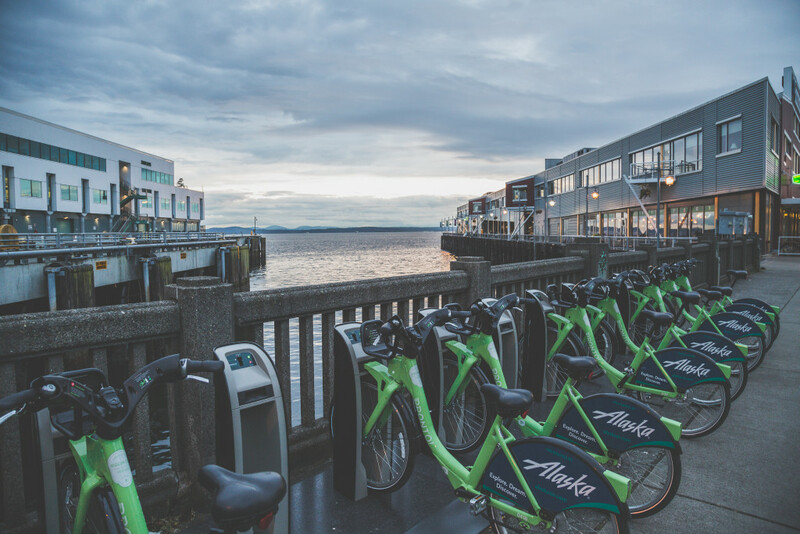 Seattle’s bikeshare program Pronto has been floundering since it started in 2014. Between October 2014 and October 2015, most bikes were ridden less than once a day on average, and now the Pronto nonprofit is asking Seattle to purchase the bikeshare program for $1.4 million by March 30, 2016, or it will cease to exist. Can Seattle have a successful bike share program? There are a number of obstacles for us, such as being one of the hilliest major cities in America and having a less bikeable downtown area than we’d like to think. Pronto is also surprisingly unpopular for a city that considers itself so green. In its first year, it logged only 142,832 rides; DC’s Capital bikeshare, in comparison, had over a million rides its first year, despite freezing winters and humid summers. 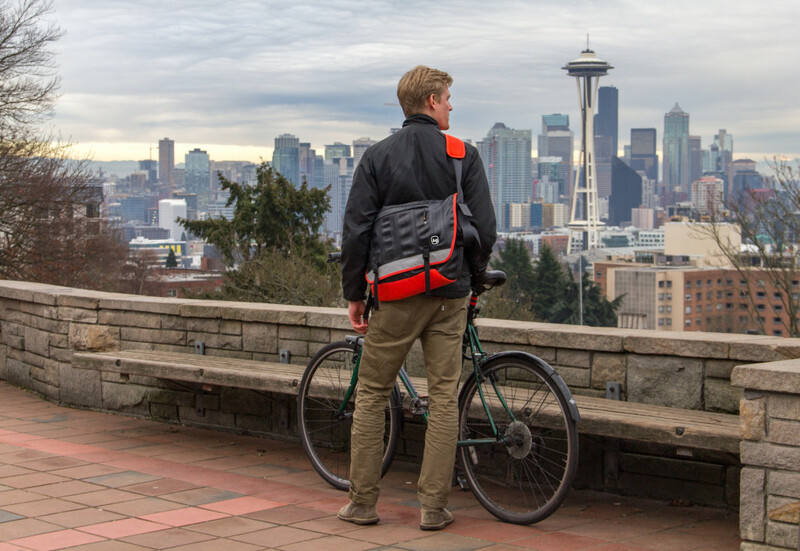 It could also be that if you’re the kind of person to bike in Seattle, you’re already doing it. And yet, as Councilmen Mike O’Brien and Rob Johnson told The Stranger, they’re leaning toward saving the system because if we let Pronto die, we’ll probably have to return about $1 million in government grants that had supported Pronto, so why not spring for a little more and save it? After all, bikeshares are a civic good in many ways, such as reducing congestion and pollution and promoting healthy, active lifestyles. Perhaps if we were to be publicly funding our bikeshare, we could work on making it accessible to people who can’t afford their own bikes (let alone cars) or have had little introduction to the cycling lifestyle. That seems to be the best reason to fund what may someday be considered a public transportation right. What do you think, Alchemists? What would a “successful” Seattle bikeshare look like to you, or what is it like in your city? Though many of these are awfully open to interpretation—especially America’s number one resolution—these all sound like familiar goals. If you’re one of the nearly half of Americans who set resolutions for themselves every year, you’ve probably even “resolved” to do something on that list yourself. Riding a bicycle is a wonderful way to accomplish so many popular resolutions. Want to be healthier or lose weight? Biking is great exercise! Spend time with friends or family? 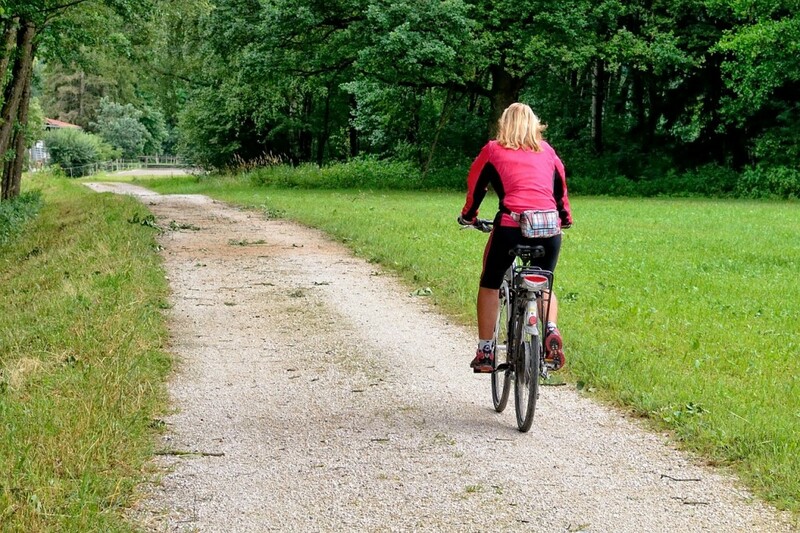 Biking is a wonderful group activity for friends or the whole family! Save money? 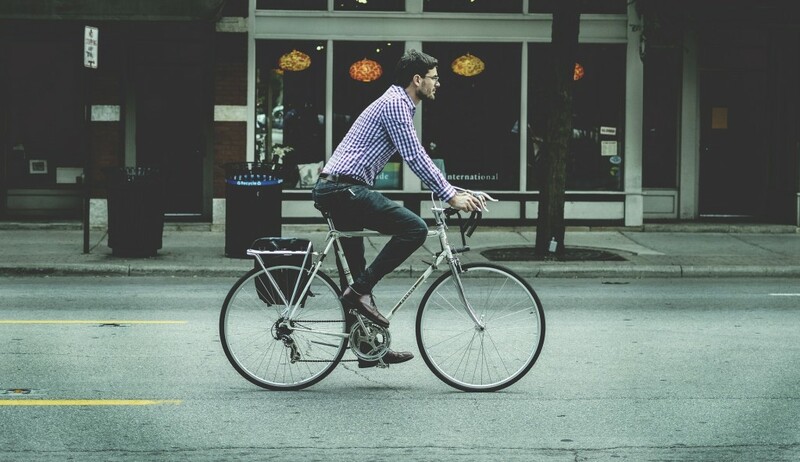 Biking will not only save you in bus fare, gasoline, or parking fees, but it’ll also save you money in the long term when you consider the health benefits of a healthy cardiovascular system. And finally, biking is one of the best ways to enjoy life to the fullest. Rather than being stuck in a metal box for transportation, you’re physically interacting with the environment. Biking can be fun, meditative, challenging, and rewarding, and we think you’ll find that you look forward to keeping your resolution every day. 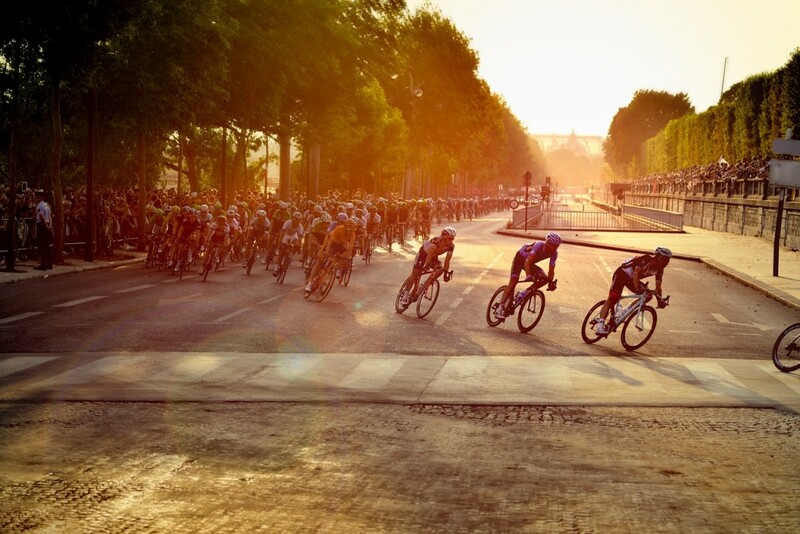 Summer may be the most popular time for cycling tours and events, but the season’s not over yet! 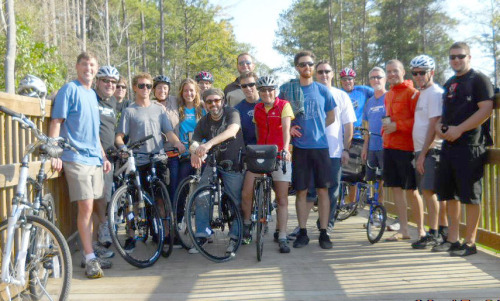 There are a lot of fantastic rides coming up this Fall for cyclists of all levels. 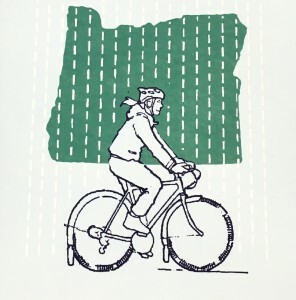 At Alchemy Goods, we’re avid fans of alternative transportation and bike culture, and we’d like to recommend a few events along the West Coast that have a great cause and seem like a ton of fun to get you excited about participating in the cycling community and to keep on pedaling through the colder months! We’d like to start with Alchemy’s home turf: Seattle. Our amazing Cycle the WAVE event is sponsored by the Women Against Violence Everywhere (WAVE) Foundation, and all the proceeds go towards domestic violence programs across Washington State. Cycle the WAVE is a non-competitive, all-women’s cycling event, with four different routes to accommodate women of all ages and cycling abilities. The point of the ride is to experience camaraderie and sisterhood in a fun, no-pressure environment while raising both money and awareness for victims of domestic violence. We couldn’t be prouder of this amazing Seattle ride! For a slightly more rugged event, look to the woods of Northern Idaho for the cyclo-cross race Crosstoberfest! Now in its fourth year, the races take place on an exciting off-road course that includes a gravel pit and wooden bridge, and that changes after Saturday to keep Sunday interesting. More importantly, Crosstober raises money for Team Autism 24/7, which helps support families living on the autism spectrum in the Sandpoint area. We love the spirit of fun bike-centric events that help support vulnerable members of a local community! This is the 7th annual Wheels for Meals fundraiser in Northern California’s wine country. 1,200 cyclists ride through wine country on routes ranging from a family-friendly 15 miles to a 70-mile metric century with steep climbs. The Alameda County Meals on Wheels organization is particularly devoted to helping feed low- or no-income seniors, who make up over 3/4 of their clients and half of whom live alone. This fun ride is a great way of exploring the beautiful Livermore Valley countryside, hanging out with friends and family, and supporting an organization that does very important work. There are few things the West Coast loves more than beer and bikes, and when you bring them together you get something pretty much everyone enjoys. New Belgium Brewing Company of the famous Fat Tire Amber Ale (and bicycle logo!) is hosting a daylong festival in San Diego’s Golden Hill Park to benefit nonprofit biking organizations. The festival begins with a costumed bike parade through the city, followed by a community party with comedy groups, artists, vaudeville, and bike contests. The finale is the the moment when one individual will trade in their car for a bicycle and commit to the two-wheel life—something Alchemy can definitely get behind! We’re proud to know that some of the tire tubes being used to bike these events will someday come back to Alchemy’s workshop and be made into sustainable, fashionable bags and accessories that might even wind up back on the same trail or tour someday. We hope that this fall, all you Alchemists keep biking through the off season and contribute to important charities, hopefully at the same time!